YMCA T-Ball & Coach Pitch Baseball is an instructional clinic for children in Kindergarten-5th grade that focuses on skill development, teamwork and fun! A combined practice and game takes place once a week for each age group. Registration runs March 27-April 28th. 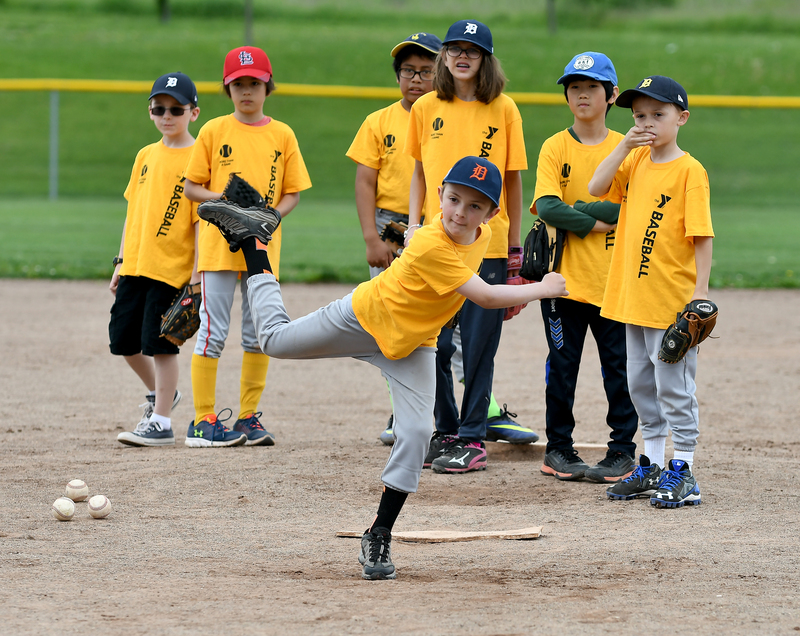 YMCA T-Ball is an instructional clinic for K-1 graders which focuses on skill development, teamwork and fun! A combined practice and game takes place one night a week. Coach Pitch (2nd-3rd) YMCA Coach Pitch Baseball is an instructional clinic for 2nd-3rd graders, which focuses on skill development, teamwork and fun! A combined practice and game takes place one day a week. This program is designed for kids who have already played a year of t-ball and are ready to move onto the challenge of coach pitch. Coach Pitch Clinic (4/5th) YMCA Coach Pitch Baseball is an instructional clinic for 4-5th graders, which focuses on skill development, teamwork and fun! A combined practice and game takes place one night a week for each age group.